The river season ended with a blank so hardly ideal, however I’ve enough big fish to satisfy my mind. 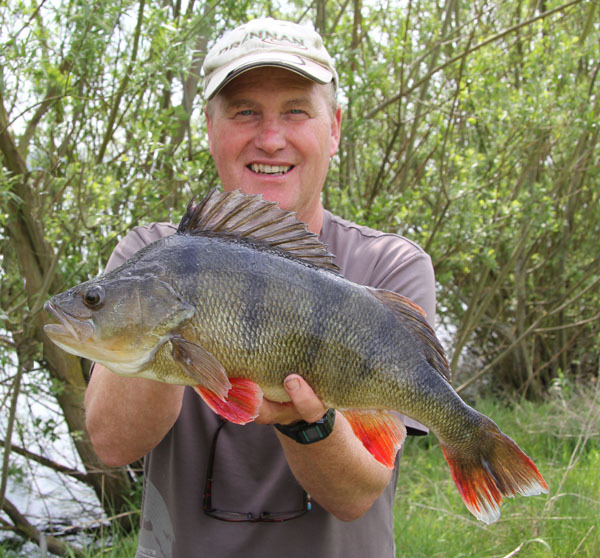 it’s this time of year where I start to think about perch fishing on some of the lakes around me. 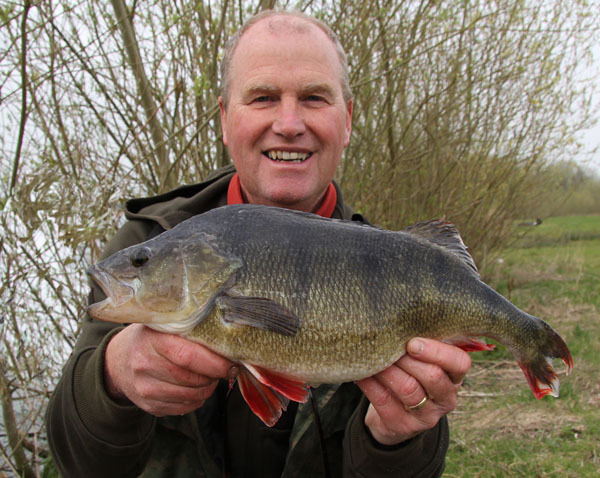 Normally these lakes are deep and very large large and the perch are late in spawning. Once the river season closes I order the worms and have plenty of dead maggots ready for the tench season too. dendrobaenas on a 2ft length of mono line of 4.12 lbs and a size 12 hook. This I fished on 2 rods and on the 3rd it was an ordinary helicopter rig with two maggots on a size 18 hook. Each rig had a black cap 50g feeder. With all the rods out I was contemplating of when I last caught on this lake and looking back through the diary it was a successful season, plenty of 3lbers and a 4lbs 2oz. So with these in the back of my mind I was suddenly drawn to the bobbins as they started to jerk and move up and down. Nothing was taking the bait other than the cray fish feeding on the worms. It was a disaster as I needed to tie new rigs each time I wound in. I was getting more and more frustrated. In the end I decided to fish about 5 metres from the remaining weed bed. The cray fish attention diminished somewhat but every so often the bobbin would jerk up. It was so frustrating and so as it turned towards dusk I packed up and went home with my tail between my legs. This entry was posted on Wednesday, April 3rd, 2019 at 3:38 pm	and is filed under Uncategorized. You can follow any responses to this entry through the RSS 2.0 feed. Both comments and pings are currently closed.